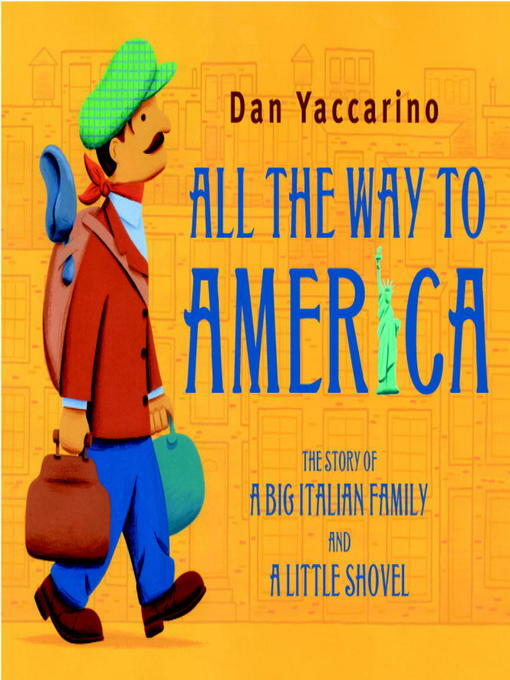 The item All the way to america : The Story of a Big Italian Family and a Little Shovel., Dan Yaccarino, (ebook) represents a specific, individual, material embodiment of a distinct intellectual or artistic creation found in Charlotte Mecklenburg Library. All the way to america : The Story of a Big Italian Family and a Little Shovel. The Story of a Big Italian Family and a Little Shovel.